The closest national park to Arusha town – northern Tanzania’s safari capital – Arusha National Park is a multi-faceted jewel, often overlooked by safarigoers, despite offering the opportunity to explore a beguiling diversity of habitats within a few hours. The entrance gate leads into shadowy montane forest inhabited by inquisitive blue monkeys and colourful turacos and trogons – the only place on the northern safari circuit where the acrobatic black-and-white colobus monkey is easily seen. In the midst of the forest stands the spectacular Ngurdoto Crater, whose steep, rocky cliffs enclose a wide marshy floor dotted with herds of buffalo and warthog. But it is Kilimanjaro’s unassuming cousin, Mount Meru – the fifth highest in Africa at 4,566 metres (14,990 feet) – that dominates the park’s horizon. Its peaks and eastern footslopes protected within the national park, Meru offers unparalleled views of its famous neighbour, while also forming a rewarding hiking destination in its own right. Passing first through wooded savannah where buffalos and giraffes are frequently encountered, the ascent of Meru leads into forests aflame with red-hot pokers and dripping with Spanish moss, before reaching high open heath spiked with giant lobelias. Everlasting flowers cling to the alpine desert, as delicately-hoofed klipspringers mark the hike’s progress. Astride the craggy summit, Kilimanjaro stands unveiled, blushing in the sunrise. Size: 552 sq km 212 sq miles). Location: Northern Tanzania, northeast of Arusha town..
An easy 40-minute drive from Arusha. Approximately 60 km (35 miles) from Kilimanjaro International Airport. The lakes, forest and Ngurdoto Crater can all be visited in the course of a half-day outing at the beginning or end of an extended northern safari. NOTE: Mountain Climbing Permits duration time is 12 HOURS. three- or four-day Mt Meru climb – good acclimatisation for Kilimanjaro. To climb Mt Meru, June-February although it may rain in November. Best views of Kilimanjaro December-February. 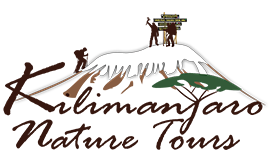 Two lodges, two rest houses, camp sites, two mountain huts inside the park; more lodges at Usa River outside the park and many hotels and hostels in Arusha town.